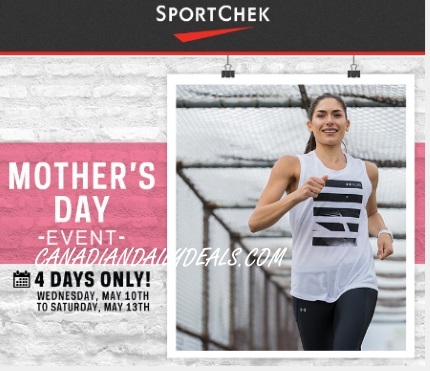 Sportchek has a Mother's Day Event on now! Save 25% off Women's clothing and shoes, select brands and styles only. Offer is valid for four days only, Wednesday, May 10-Saturday May 13, 2017.